The National Association of Personal Financial Advisors (NAPFA) is the country’s leading professional association of Fee-Only financial advisors—highly trained professionals who are committed to working in the best interests of those they serve. We highly recommend including NAPFA members in your consideration. 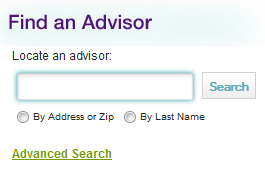 I do not normally recommend using this limited search to find a fee-only, commission-free financial advisor in your area. NAPFA members are given a limit of how many of these boxes they can select. Most NAPFA members would check all of them, after all, every NAPFA member provides comprehensive financial planning services. When limiting ourselves to a handful of specialties we did not select “Hourly Financial Planning Services” even though we occasionally do some hourly work for specific issues. My recommendation is to start your search broadly and see how many firms you get. If there are a number of NAPFA firms in your area, then use the Technical Specialties or Client Market filters as a way to pick those firms who have specifically highlighted your need. Even searching by zip code can limit your search for a fee-only commission-free financial advisor. 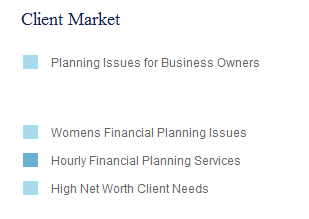 Consider our firm, Marotta Wealth Management. We are limited to highlighting a handful of areas of Technical expertise or Client Market focus. Yet we have many advisors in the firm who each specialize in different client needs. 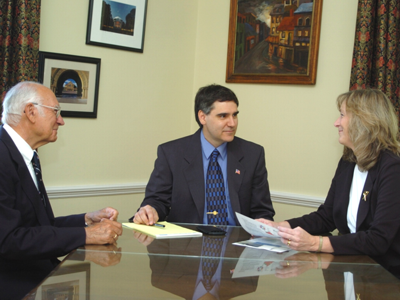 We also have advisors in multiple zip codes and serve clients in even a greater number of states. Many people prefer having a local financial planner they can easily visit on a regular basis. For those the zip code search is best. Others want to see us for the initial planning portion and then, even if they are local, prefer to handle everything through phone and email. And for clients in other locations we have found a way to meet, either by them visiting the beautiful city of Charlottesville, or by us visiting their city during our speaking engagements. After searching for a fee-only commission-free financial planner you can view the details of each firm, visit their website or email them directly. You can even check several sites and ask them to contact you. Or, you can pick up the phone and call to ask all your questions and talk to an advisor immediately. You should also investigate the Garrett Planning Network ( http://garrettplanningnetwork.com/ ) a network of independent, hourly-rate financial planners and advisors. Many of the Garrett members are also NAPFA members.